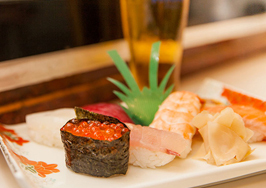 A variety of bars, cafés, and eateries line the Shin-Umeda Shokudogai. Take a look at some of the popular places to go and food to try. 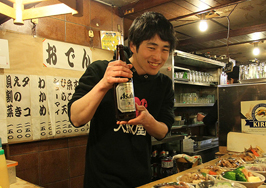 Izakaya are a combination of bar and eatery that serves alcoholic drinks with along with snacks and light meals. A Japanese-style bar as you can put it, they have a large variety of alcoholic drinks, which includes beer, chuhai (distilled liquor made from wheat mixed with juice or soda), and Japanese sake. In this type of bar, the customers eat and drink standing. They are characterized by low prices, and most Tachinomis focus on serving alcoholic drinks rather than food. Japanese food consisting of mostly seafood placed on rice flavored with vinegar. 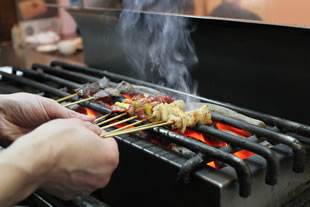 Chicken cut into bite-sized chunks and skewered (generally one to five pieces per stick) and grilled over fire before seasoning. Japanese dish of breaded and fried meat and vegetables on a skewer. A dish with daikon radish, chikuwa fishcakes, konjac, boiled eggs, and other ingredients stewed in broth flavored with soy sauce. 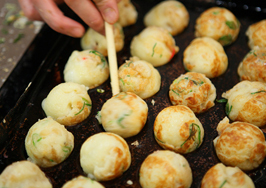 A specialty of Osaka, which consists of bite-sized octopus baked into balls of batter 3 to 5 cm in diameter. Japanese pancake with ingredients such as vegetables, meat, and/or seafood mixed into a batter made from wheat flour and water, cooked on a hotplate, and served with toppings such as a special sauce, mayonnaise, and ground dried seaweed. 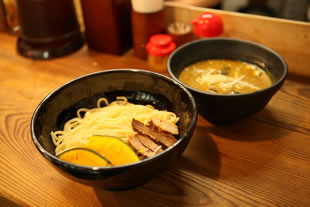 Thick wheat noodles eaten with Japanese broth. 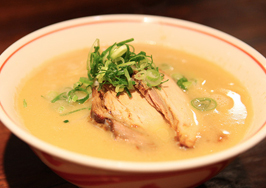 Noodle dish combining Chinese noodles with various toppings, including slices of roasted pork, Chinese fermented bamboo, flavored boiled eggs, and chopped chives. Characteristic Indian food seasoned with a rich combination of spices. 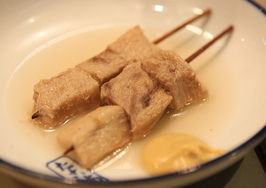 Almost all popular foods in Japan can be eaten here in the Shin-Umeda Shokudogai. 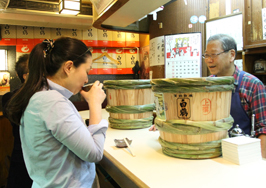 As a place where food from across Japan congregates, Osaka has been renowned as "the kitchen of Japan" since the Edo period and represents a highly developed food culture. 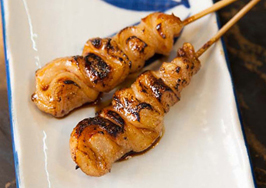 Seafood is also a delicacy, taking advantage of the fact that Osaka borders on the Seto Inland Sea. 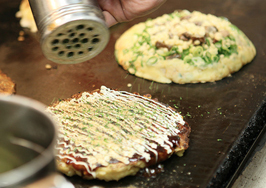 Takoyaki, Okonomiyaki, and Kushikatsu are particularly famous as Osaka specialties. Because shops in the Shin-Umeda Shokudogai are lined up side-by-side in a small area, one of the ways of enjoying the street is simply browsing to look for a place to eat. 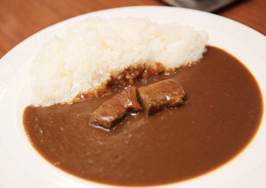 Many foreign customers visit the Shin-Umeda Shokudogai every day. 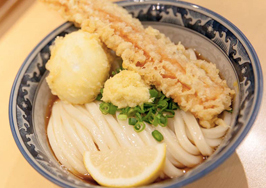 Come relax, eat your way through the restaurant street, and enjoy Osaka's food culture.